Welcome to OnlineBetting.org.uk, your premier guide to the world of betting and gambling on the internet. Whatever your sport or game we are here to offer expert advice on where to place your bets, with recommendations and guidance based on a combined experience of over 40 years. On the site we provide up to date and detailed reviews of all major UK bookmakers, as well as a handful of carefully selected online-only sportsbooks and casinos - all of which are licensed and regulated right here in the UK. As well as individual reviews, we have also written a number of guides which recommend bookies based on sport, bet types or offers so that you can find the best betting sites for your needs. Whilst we prefer to give more detailed advice based on the features you're looking for or sport you want to bet on, we also understand that some people just want a list of betting sites to try out for themselves. For this reason we're kicking things off with a list of our favourite bookmakers. For details of promotions for existing customers see our reviews or visit or betting offers page. Owner of the tote, excellent book, regular offers and a terrific welcome bonus. 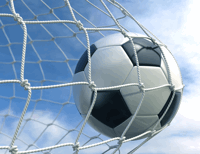 Professional bookie, remarkable interface with an attractive introductory offer. 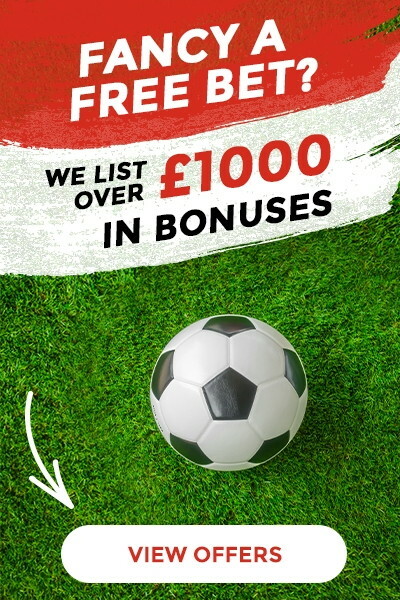 The ultimate purpose of an introductory free bonus, apart from getting something for free, is to give you an opportunity to try out a betting site without risking too much of your own funds. 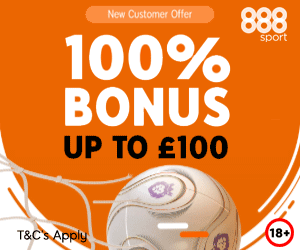 Introductory offers like this one form 888 Sport are truly outstanding value therefore as it has huge flexibility allowing you to claim a matched bonus from just £10 or any amount up to £100. This offer is particularly superb given the low wagering requirements on the bonus, it is also exclusive meaning you can only reach it through the link here. To claim all you need to do is register as a new customer and deposit £10 or more, by any method other than PayPal, Skrill or Neteller. A 100% matched bonus will then be applied once you have played through your deposit amount once on bets with odds of 1/2+. Once awarded the bonus has a long expiry time of 60 days, so you do not need to rush to use the bonus, you can wait for wagers that you want to place. To release the bonus funds, and any bonus winnings, as cash you need to rollover the bonus amount six time (6x) in this period again at odds of 1/2+. This is one of the lowest play through requirements for a sportsbook bonus in the UK. Only sports bets count, cashed outs bets will not contribute to wagering. For more about 888 Sport you can read our full comprehensive review. In addition to the standard welcome free bets and bonuses you can read about on this site, many betting sites also run enhanced odds and free bet event specific specials. If you are planning on betting on a certain event, especially a high profile one (e.g Premier League, Cheltenham, Wimbledon, etc. ), then you can sometimes find added value compared to the general welcome offer by taking a bespoke deal. 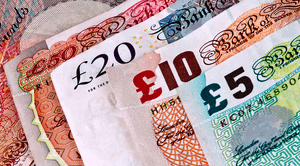 At OnlineBetting.org.uk we focus on the nuts and bolts of betting but we also have a sister offers site that carefully screens new and existing customer promotions for all sports and events worth knowing about. 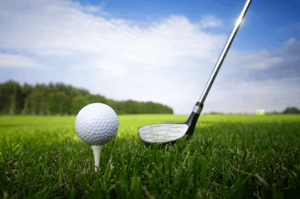 From the World Cup to the Ryder Cup, Champions League to Royal Ascot, if you are looking for something for a given sport or event then head over and take a look. We also list a wider range of betting sites if you would prefer to see a longer list of UK licensed operators. 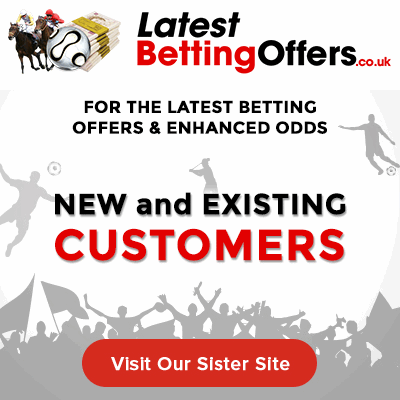 See our partner site, LatestBettingOffers.co.uk, for a comprehensive list of enhanced odds sign up offers, new customer specials as well as event and sport specific existing customer promotions. If there is a UK betting offer available it will be listed on our other site. 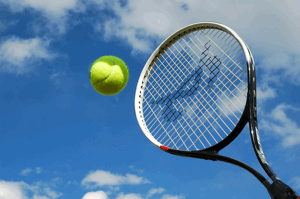 Below we list the major sporting events on now and upcoming to help you plan your betting. Many bookies often give boosted odds and high value retention offers surrounding these feature events that can boost winnings or reduce loses for diligent punters. 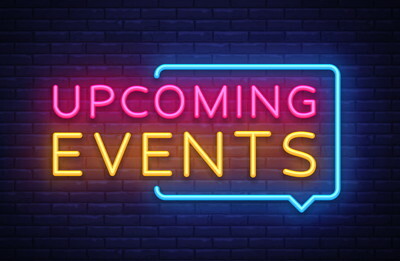 It is often worth waiting until closer to an event start time to utilise the best prices, insurance offers, free bets, money back and other promotions available. You can visit our sister site, featured in the section above, LatestBettingOffers, for event specific odds and deals for both new and existing customers. Saul 'Canelo' Alvarez, who holds the WBC and WBA middleweight titles, goes up against the Jacobs, who holds the IBF belt, in this feature fight of year so far for this division. Alvarez may be firm favourite but he also has the most to lose and with Jacobs demonstrating he was able to take Gennady Golovkin to the 12th round means he will be no push-over. The fight will be live in the UK at around 4am on Sunday 5th May, as usual with big boxing matches the bookies pull out the stops with offers for match and round betting. The Premier League is the worlds biggest sporting competition in terms of revenue, number of people watching, wages, attendance and pretty much any other stat you want to look at; and this year unlike last year it is actually exciting with Liverpool challenging Man City this time around. In the UK 70% of bets are placed on football and nearly three quarters of those wagers go on the Premier League, making this one event responsible for around half of all bets placed. Considering this if you bet on the PL you would be insane not to search around for the best offers and odds from our leading bookies. It's the pinnacle of European club football and the competition every fan wants to win and this year with no less than five English teams in the competition and this means even more attention than before. Liverpool are of course the record English side in the competition and were finalists last year, this year however it seems they want the Premier League more, whilst at the same time league champions Man City would give anything for a European Cup in their expanding trophy cabinet. UEFA know how to stretch an event out, the last 16 now taking place over 8 days and 4 match weeks. This is good news for punters however as it means the bookies spread their feature offers over more weeks making more fixtures applicable to high value odds boost and promotion deals. With 5 English clubs in this round too the bookies will be putting in more effort than normal. The first ties leg matches will take place between the 12th and 20th February and the second leg matches between 5th and 13th March. The 2019 FA Cup could be one of the best in years, yes there is an expectation that Manchester City will simply walk it, but then they said that in 2012 when Wigan produced the biggest shock of the last 30 years. Watford are a better team than Wigan were and on the back of a great league season and a great semi-final come-back, they will believe it is their year. Saying that City are the best team in the world right now, many believe, and the stats are on their side too given the FA Cup has been won by only two teams other than Man Utd, Man City, Liverpool, Arsenal and Chelsea since 1992. Man City will have their eyes on other prizes this year there is no doubt, but then they have one of the deepest squads to cope with it and are aiming to win as much as they can. On the flip side Watford will also be courting the Europa League spot available to the winners along with the trophy, which of course City have no interest in. The worlds oldest association cup final will take place on Saturday 18th May at Wembley, and as usual the bookie will pull out the stops, it is recommended you wait until 24-48 hours before kick off to get the best deals. From February to May every Thursday evening sees the world's best PDC players compete in the Unibet Premier League. There are two initial phases that result in a play-off night held at the end of May to see who is crowned the winner. Michael Van Gerwen has won the previous three titles in a row. The event was only conceived in 2005 and yet has already become one of the most high profile events on the darts calendar, second only perhaps to the World Championship. Being held on a Thursday, a quieter day for football, and on Sky, means this is a very big event for live betting for both punters and bookies. You can find some excellent linked free bets and price boosts, especially from the event sponsor Unibet. 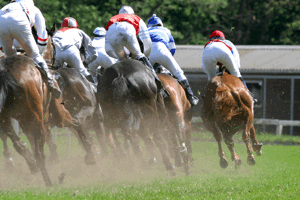 The biggest race in America, and dating back to 1875 the Kentucky Derby is truly ancient by their standards. The 1 mile 2 furlong feature flat race at Churchill Downs commands an incredible prize pool of over $2M with over $1.4M for the race winner. You can see now why this race draws such a high amount of international attention from punters. The Derby itself comes at the end of an entire festival built around it that includes two full days of high profile racing, including the 1 mile 1 furlong Kentucky Oaks on the Friday. Unlike in the UK however when they say 'festival' in the US they mean it, and racing is just part of a two week long event of celebrations. As the home of horse racing and with so much going on in the summer many bookies pay little attention to foreign racing, especially for promotions and enhanced value. The Kentucky Derby is a distinct exception to this however and if wait until a day or so before the race to bet and you shop around you should be able to get some decent offers. The flat horse racing season in the UK gets underway officially with the Lincoln Handicap in late March / early April each year. For many though the season doesn't really begin properly until the Guineas at Newmarket, the first two of the traditional five English classics. Both races are held on the famous Rowley mile at Newmarket, the home of the jockey club and seen as the birth place of elite flat racing, having been hosting racing sine the 1600's. Predictably they are both one mile long with a prize purse over £500,000 with over £280,000 for the winner. The 2000 Guineas is held first on the Saturday and is in fact older than the 1000 Guineas on the Sunday. The 2000 is open to three-year-old colts and fillies and for three of the last four years has been won by Aidan O'Brien trained horses. The 1000 Guineas is an identical race held on the Sunday but only open to 3-year-old fillies. This race has also been dominated in recent years by O'Brien horses, winning in 2012, 2016 and 2017. The trainer is favourite to win the race again in 2019. The Guineas is a perfect time to see how the best milers are running early in the season and also a good time to see all the new bookies offers for the flat season. The ICC Cricket World Cup will take place in England this year, the 12th incarnation of the elite one day international limited 50 overs game. The opening match will see England take on South Africa at the Oval and over the course of the following 6 weeks there will be 45 round-robin matches between the 10 teams involved. This includes 6 day/night games along the way too. Matches will take place around the country at 11 different grounds, ranging as far north as Durham's Chester-le-Street to as far south as the Rose Bowl in Southampton. It is the first time England has hosted the World Cup since 1999 and offers an excellent opportunity for fans to see top class international cricket across the nation. Following the round-robin stage the top four teams will play in a semi-final on the 9th and 11th July that will culmiante in the final to be held at the home of cricket, Lord's, on the 14th July. With no summer football this year and little else going on it is likely the bookies will be competing with each other with enhanced odds and freebies, especially if you bet in the outright market within the week preceding the opening game. The old ones are the best and despite the proliferation of snooker globally the World Championship, at the famous Crucible Theatre, will always remain the pinnacle of the sport. The format of the event hasn't changed much in 50 years, and that is no bad thing - if it ain't broke don't fix it. The world top 16 ranked players are joined by 16 qualifiers who play in five knock-out rounds over two weeks from Easter weekend to the the final on May bank holiday weekend. This is a straight knockout event ranging from the best of 19 frames in round one to best of 35 in the final. This is about serious competitive matches between top players, none of this league or group stage BS that has permeated so many other sports. Ronnie O'Sullivan is having an outstanding season, winnings the UK, Players and Tour Championships this year, as well as becoming the first player to reach 1000 century breaks. The only person that is likely to stop Ronnie winning a sixth title (one away from Hendry's record 7) is Ronnie. Should the legend of the game falter then Mark Selby, Judd Trump, Neil Robertson and Mark Allen will all be waiting for an opportunity to win the crown - or perhaps there will be a surprise like when Mark William's stormed the competition beating John Higgins in the final last year? Find the best bookmaker for you by offers, features and more. Get your money back if one or more legs let you down with Acca Insurance. 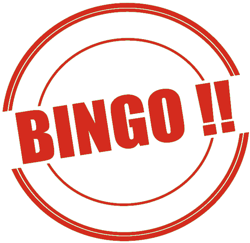 Recommendations and Offers for playing Online Bingo in the UK. 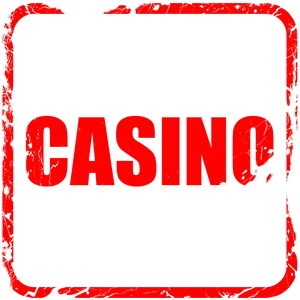 We have a whole section dedicated to the best casinos & how to play. Bookie deals for existing customers, free bets, loyalty points and more. Read our sports betting guides to find the best bookmakers whatever your passion. 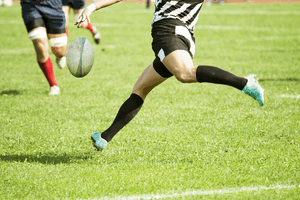 Discover what bets are available and how to place them, what are the major competitions and tournaments, where is live betting and streaming available and where can you get the best odds and payouts? Plus we explain common terms and give a little bit of history too. Modern online gambling allows you to deposit and withdraw to and from betting accounts using a vast array of payment options. Our banking guides discuss the difference in funding methods, bookmakers that accept them, how to use them, fees, security, limits, bonus availability and more. Whether you want to use an e-wallet, bank account cash alternative or even real cash we will tell you how. 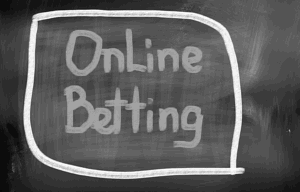 At OnlineBetting.org.uk we provide impartial betting advice whether you are a complete novice or you have been doing this for years. All guides and reviews are written by Matt (that’s me) and our in house team, or by carefully selected and vetted expert writers. We update our offers daily and we revise our reviews and guides regularly. A little introduction to me, Matt. I have been betting for many years in all formats, I love all sports and games and as we all know there is no better way to get into an event than by having a cheeky flutter. Everything written on this site comes from first-hand experience and has been fully tried and tested by either myself or our team or our expert writers. I aim to guide you through all things betting from old school bookmaker’s shops to modern bookies that solely offer online betting tools. We assess the pros and cons of online vs betting shops, conventional desktop sites, mobile betting, payment options, offers/promotions, live betting and betting with streaming and more. I am a diehard Liverpool FC fan and I truly love my football but I also like watching and going to, Horse racing, Dog racing, Cricket, Tennis, Darts, F1, Rugby, Golf, Snooker, Boxing and even the odd NFL game. If you watch a sport or game in my opinion it is worth placing a bet on it but given the wide range of choice and offers available in the world of online betting it is often hard to know who to bet with. In my own experiences I have made some mistakes but I have found a lot of gems that can make betting on events a lot more fun, and profitable. Maybe you want to find the best bookmaker for betting on football for example, or you might want to know how to bet with cash online, who offers Cash Out, live streaming, who has the best mobile app or who provides the best live betting – whatever your query or question we have complied a comprehensive resource to online betting to help answer it. Here we list good, established, UK licensed (by the Gambling Commission), reliable betting sites for punters and by having a good relationship with these companies in many cases we are able to offer you exclusive and one-off deals you cannot find direct with the bookmaker. If you like what we do come back and visit us often and see what's new, share the love too and tell your friends about us.